Arun Kumar Purushothaman’s DIY models of miniature vehicles for his children have earned him the awe of the internet. Arun Kumar Purushothaman, a resident of Kerala’s Idukki, has gone the extra mile to make sure his children got the best of the toys to play with. A staff nurse at Idukki District Hospital, he has taken on the job of building a fully functional auto-rickshaw to fulfil the wishes of his son and daughter. According to Purushothaman, his son Madhav Krishna is a fan of the 1990 Malayalam film Aye Auto and wanted an auto-rickshaw just like the one in the film. 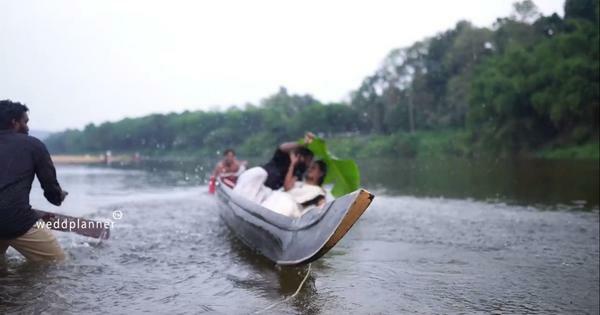 After seven months of hard work, Purushothaman built a miniature version of the three-wheeler using recycled materials, added a motor and battery, and, for good measure, named it Sundhari after the iconic song from the movie. He also came up with a fun way to introduce his creation to the world – making a video featuring his two children driving the auto as the song played in the background. The end of the video also shows the process behind making the mini ride possible. However, this is not the first miniature toy Purushothaman has made for his children, having previously crafted a jeep and a tricycle among other things, and posting DIY videos of them on YouTube. He added that his love for vehicles started at an early age, but his family could not afford to buy him such toys. So he began building them himself and even won the first prize in a state-level competition for making the working model of a JCB earthmover. Purushothaman said he does not have immediate plans of selling his toys. “If everything goes well and I get free time, I will try to make more of them and think about selling them,” he stated.